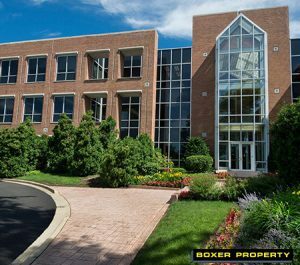 December 8, 2016 (Chicago, IL) – Houston-based Boxer Property announced today its acquisition of 155 N. Pfingsten Road in Deerfield, IL. The 119,265 square foot, Class A property raises the quality of Boxer’s portfolio as they continue to expand in the Chicago market . Several key advantages to this property include its Lake County location which offers excellent tax advantages. The property offers easy access to local conveniences, such as walking distance to the Metra and minutes away from the areas preeminent mall, Northbrook Court along with several other high-end retail, entertainment, fine and fast-casual dining options. Boxer has planned a number of improvements for the property including a completely new Tenant Center, conference center, and an upgraded lobby. Exterior renovations were also recently completed prior acquisition and now feature beautiful landscaping, and resurfaced parking lot. Built in 1987, 155 N. Pfingsten Road is situated in an excellent suburban location with easy access to downtown, the Tri-State Tollway (I-294), and the Edens Expressway (I-94). The property is also is walking distance to the Metra, the commuter railroad in Chicago’s metropolitan area, and is approximately 28 minutes from Union Station. Located over the Lake County border, tenants typically experience lower business costs because of the reduced real estate taxes in the area with approximately $2-3/SF lower than neighboring Cook County. Having a business location in Deerfield, IL means you will be neighbors with an abundant amount of well-known Fortune 500 companies such as Walgreen Boots Alliance, Inc., Baxter International, and Mondelez International.